Here is your chance to own your own clean two bedroom two bath manufactured in Kerman. Perfect starter or retirement home with little to no maintenance. Home is a double wide and offers two bedroom and 2 baths with plenty of upgrades to include new flooring, new granite, new bathrooms, and new paint inside and out. You won't find a cleaner home in this community. Close to Highway 180 and to Walk Mart Shopping center. Home features indoor washer and dryer hook ups. 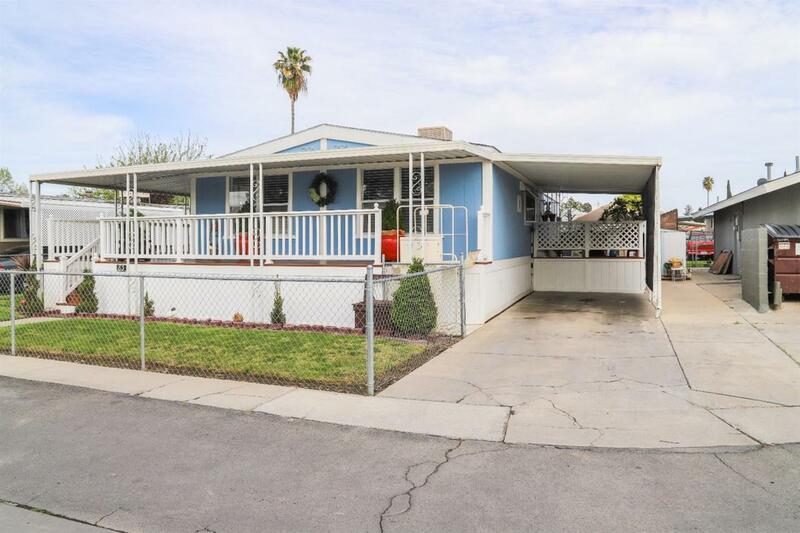 Fenced in, well manicured yard with refinished patio. Call your favorite Realtor and schedule your showing before its gone. Listing provided courtesy of Oscar Vasquez Velazquez of Realty Concepts, Ltd.